It's been awhile since I've seen gameplay footage from Kingdom Hearts, and I forgot how intense the game actually is. 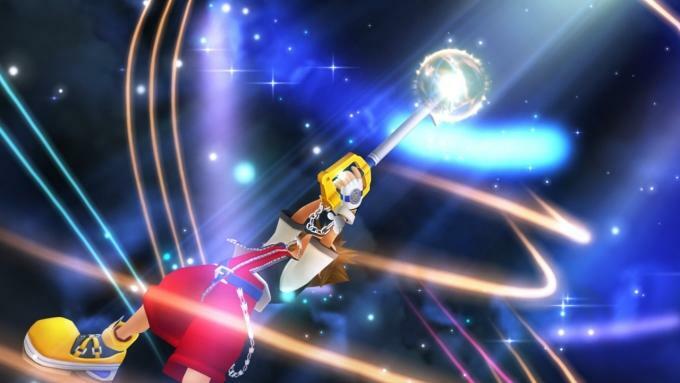 A leaked E3 trailer for the upcoming Kingdom Hearts HD 1.5 ReMIX shows off the game in glorious high definition. Kingdom Hearts was the last game to be released Stateside under the Squaresoft label before the merger formed into the company we know now today as Square Enix. I remember it mostly as such because I only played through it once and don't have many other memories. However, this new HD collection has me pumped and ready to dive into the mixed up world of Final Fantasy and Disney again. And as the trailer proudly states, the game is "better than you remember." Kingdom Hearts HD 1.5 ReMIX comes packaged with an HD version of Kingdom Hearts Final Mix, a director's cut which never made it to America, and an HD version of the PlayStation 2 remake of Kingdom Hearts RE: Chain of Memories. Those wanting the full story can also watch the cinematics from Kingdom Hearts 358/2 Days in an HD Cinematic player. The HD collection will be released on September 10th exclusively for the PlayStation 3. I think I remember why I lost touch with this series. The titles are just way too convoluted, but to be fair, I never played the aptly named Kingdom Hearts 2 either. I have to wait for an HD version I guess. You know it's happening because this is Square Enix.